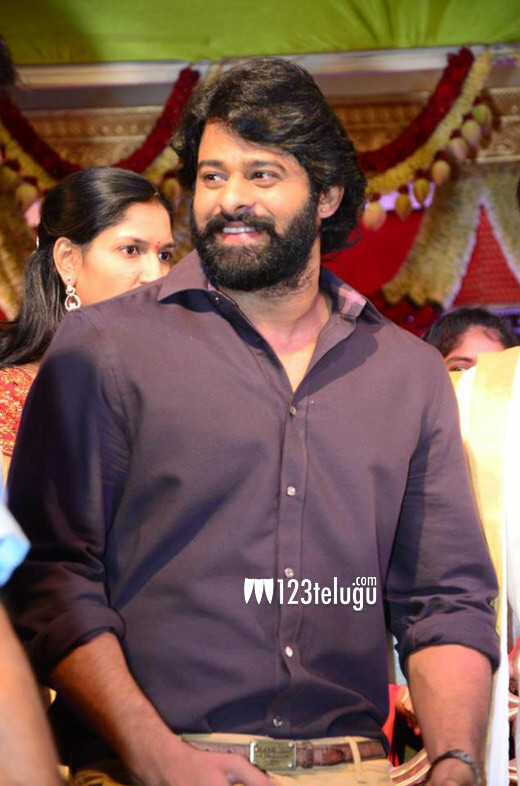 Young Rebel Star Prabhas made an appearance at hero Gopichand’s wedding yesterday. The handsome hunk has been changing his look and style for S.S. Rajamouli’s ‘Baahubali’ and he was the center of attention at the wedding yesterday. The royal moustache, the full beard and the muscled frame have given Prabhas an impressive presence. Prabhas will be seen along with Rana Daggubati in this period action adventure. Anushka is the heroine in the film and shooting will begin from July. Rajamouli is currently busy with the film’s pre-production. Arka Media banner is going to produce this big budget extravaganza. Keeravani is composing the film’s music. Going by Prabhas’s look, fans and movie lovers seem to be in for one royal treat next year.